The hearty kale leaves are a perfect compliment to the rich sweet broth in this stew. Each of these sauces will be enough sauce for about 8 ounces freshly cooked pasta. 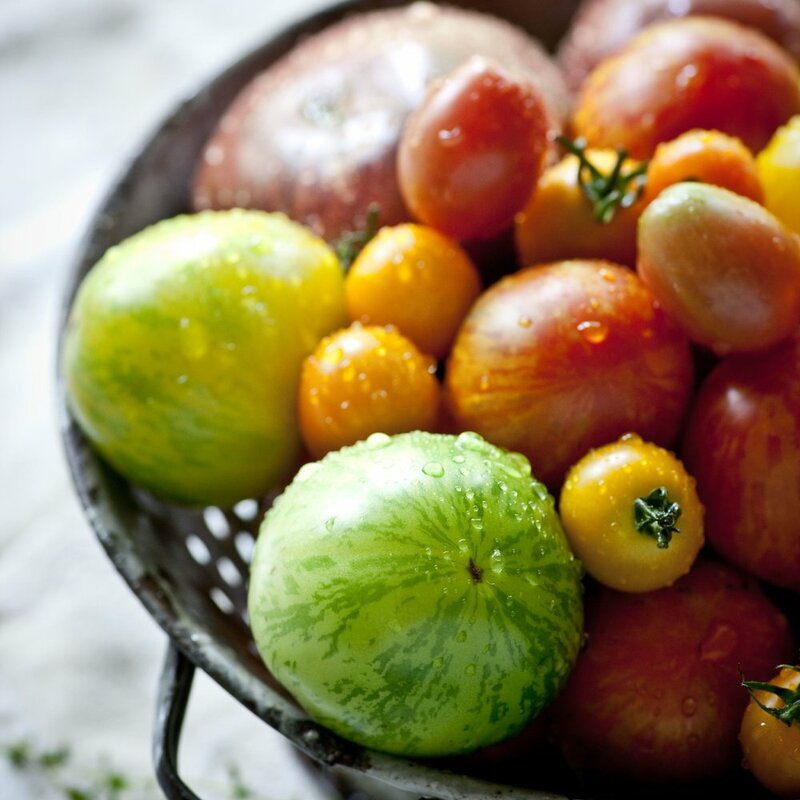 We can’t get enough of these tomatoes in the summer. They pot up on the menu at the market in many ways. If you have tomatoes in your garden make this for a simple summer supper. We do many versions of this recipe, I like to use past shapes that really hold the sauce. You could make this with any roasted squash, pumpkin or other roasted fall vegetable like parsnip or, turnips. It also makes great risotto cakes.